Is Exercise Causing Pain? Is Pain Putting You Off Exercising? Dizziness is a common condition seen in the Chiropractic office. Individuals with cervicogenic (coming from the neck) dizziness will usually present with neck pain and may also experience headaches. Neck pain may only occur with palpation (when touching certain areas of the neck); therefore, many people may not realize that their neck is a problem. Cervicogenic dizziness may occur in the absence of an injury or may occur months to years after a head or neck injury. Approximately 20-50% of people who have sustained a whiplash injury will experience symptoms of dizziness, vertigo, or decreased balance. These symptoms can be coming from the vestibular system, central nervous system, or neck. Dizziness may also occur as a result of arthritic changes, herniated disc, instability of the cervical vertebrae, muscle spasm, or postural adaptations such as scoliosis. Cervicogenic dizziness may occur gradually with continual worsening of symptoms or the onset may be rapid. Faulty mechanics of the neck due to injury, muscle tightness, or poor posture may cause a sensation of dizziness. This is due to the connection between the nerve receptors in the upper neck and the vestibular system (inner ear and balance). The nerve receptors in the neck supply information about your head position and help with balance. This balance information works together with information from your eyes and inner ears to tell you what position your body is in with relationship to gravity and the ground. This gives you a sense of balance. If the neck receptors are not providing the correct information and do not agree with the signals coming from the eyes and inner ears, the brain may get confused. This can result in the symptoms associated with cervicogenic dizziness. This connection between your neck, eyes, and inner ear also helps to improve your hand eye coordination, postural control, and balance. Therefore, damage or altered mechanics of the neck receptors may result in a sense of dizziness or disequilibrium and may decrease your coordination. Chiropractic is a very effective treatment for cervicogenic vertigo as it is able to address joint dysfunction in the neck which is a major cause of the condition. 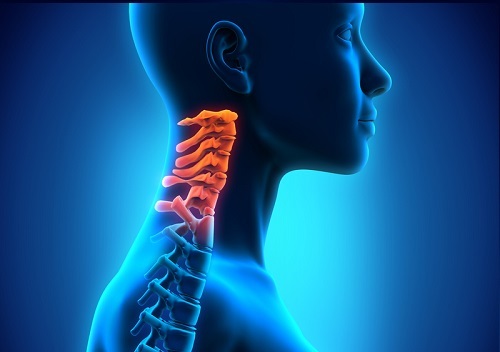 The joints of the neck provide the brain with major input as far as head and body positioning. Joints that are fixed or immobile give the brain bad input and may cause vertigo. Chiropractic adjustments normalize the function and position of the joints and allow the joints to send the brain correct positioning information.